I would probably give this book three and a half stars. It was good, but just okay good. I guess what I didn't like was at the point of knowing Amanda's son would need a heart transplant, I knew the way the rest of the story would go. Nicholas Sparks did his best in the way he wrote it to try to keep the reader in suspense, but it just didn't work. Saying that though, I don't know how it could have been written where the reader would have been kept in the dark. 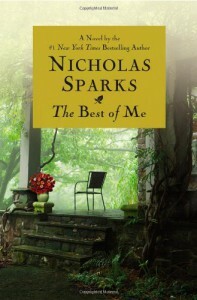 I enjoy Nicholas Sparks' books and I did enjoy reading this one.